Eat Sleep Ride is everything a biker could need in an app; you’ve got the ability to record your rides and share them on social media, view your data by tracking mileage, speed and lean angle and then discover brand new routes. The app also allows for live tracking meaning friends and family can find out exactly where you are on your ride! Part of a club or attending an event? Make sure you share it on the app to help spread the word and meet like-minded bikers. Don’t forget to share photos of your latest adventure too! If you’re looking for a challenge then you can find that in the ERS app too with leader board that allow you to win prizes, show off your riding skills and find your ranking compared to your friends. You can also purchase ‘CRASHLIGHT’ to accompany the app that hosts technology that can detect a motorcycle crash then notifies specified contacts and emergency services with your location via text and email. Looking for some new routes to explore, either locally or further afield? Download Best Biking Roads, the app is jam-packed with recommended routes that have been ridden by motorcyclists themselves. There are over 25,000 riders worldwide sharing their latest routes on the app. Lots of routes contain images, videos and important information too so why not find out what you’re next ride is going to be? Waze is a navigation, maps and traffic app which joins all road users in your area allowing them to share real-time traffic and road information so you can plan your best route in advance. Waze will alert you on road closures, accidents and hazards, the app can also give you voice guided navigation with automatic rerouting when road conditions change. Waze will also provide important information like the cheapest fuel on your route, local businesses and places and can see friends ETA when heading to the same destination. SuperBiker app is a data detection system that accurately tracks your routes on track and on the road. The app has the ability to give you all the technical information you could possible want from lean angle calculations, centre of mass of the bike, tire width and maximum acceleration to name a few features; with all this info you’ll feel like the next Rossi as you fly around the track. All the data can be shared on Facebook and you can also find like-minded bikers through the app. Not got the chance to get out on two wheels today? It’s time to download the Ducati Challenge app. 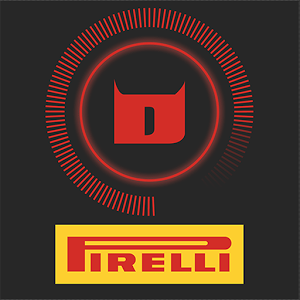 Highly praised as one of the most popular motorbike racing apps on available on the market, Ducati have created an app that allows you to have the fun of two wheels in the palm of your hand. You’ll be riding the most powerful Ducati machines including Monster 1100 EVO, Hypermotard 1100 EVO SP, Diavel Carbon, Multistrada 1200 S, Superbike 1198 SP, Multistrada Pikes Peak, Diavel Cromo and Superbike 1199 Panigale S; Ducati have even recorded the roar of every engine to make sure you get the most real life experience possible. Whatever bike you choose, you can pick the circuit or track to suit you from windy roads to fast race tracks; if you’re feeling competitive then switch to Championship Mode to tackle a series of challenges to become a Ducati Champion. you’re always up-to-date before heading out on a ride so you’re not going to get caught short. 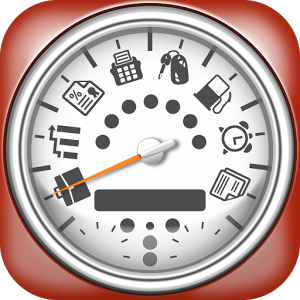 The app allows you to store all your important information about your motorcycle including MOT date, service date, tyre check, filter replacements, fluid changes and much more. The app will alert you when you need to complete a task as it records how many miles the bike has done, and it can store multiple bikes with their service history too. You can also use the app to remind you about the other vehicles you use too. Want to keep up-to-date on the latest biking news, upcoming releases and races in the world of motocross? Download Moto Magazine for free. You’ll get your motocross fix at your fingertips. The magazine covers everything from interview with global superstars, international races including American Supercross, British and Japanese championships too; not only that, you’ll get the most update information on the latest kit, bikes and much more. BikerSOS is the one app every biker needs to download ASAP; the app encompasses a wide range of abilities including tracking your ride, saving your ride and even calling the emergency services if you’re unfortunate enough to be in an accident. We all know how vulnerable bikers are so BikerSOS has been created with that in mind. The app will be able to pass on any important medical information to the emergency services and inform them of your emergency contact too. If you do a lot of riding abroad, then opt to download the premium version of BikerSOS which will inform medical staff in any country of your needs without having the worrying language barrier. Don’t forget to start the app before your ride and keep it on your body, if your phone is mounted to your motorcycle then the accident detection will not be activated. Moto X Mayhem is an easy, fun game to play on your mobile or tablet that allows you to race your way through different types of terrain. Don’t be scared to jump and crash land as you take on the dirt bike challenges. The graphics and sound really add to the game giving it a real life edge so you can feel like you’re out on your motorcycle. Features of the app include fun rag doll physics, working bike shocks and accelerator leaning controls your rider’s position on the bike. You can compete against the fastest motocross riders on the worldwide scoreboards: are you up for the challenge?